The goals of each web design can vary greatly from one project to the next, but we should always strive for efficiency and simplicity. This will deliver a cleaner result that facilitates accurate communication with less margin for error. It also takes less work to make something simple than it does to make something complex. 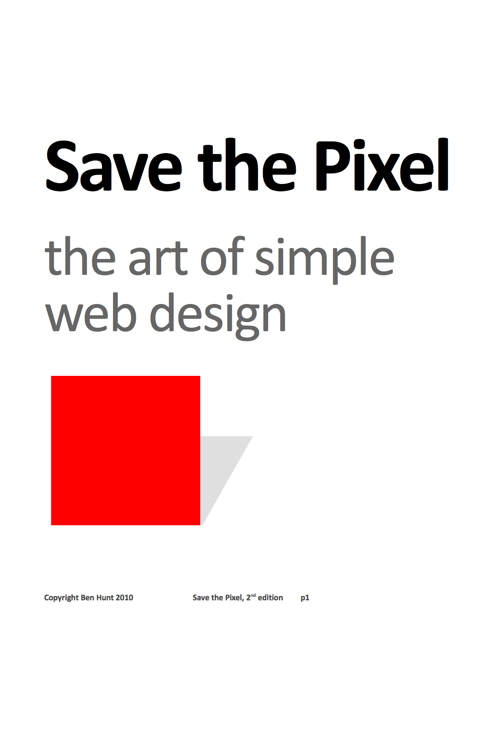 “Save the Pixel – The Art of Simple Web Design” was my first ebook, and has sold many thousands of copies since its initial publication in 2008. An updated second edition came out in 2010, with new case studies and examples.